With more than 800 miles (1,290 km) of coastline along two oceans – the Pacific and the Caribbean – warm tropical water and great waves, surfing in Costa Rica is some of the best in the world. 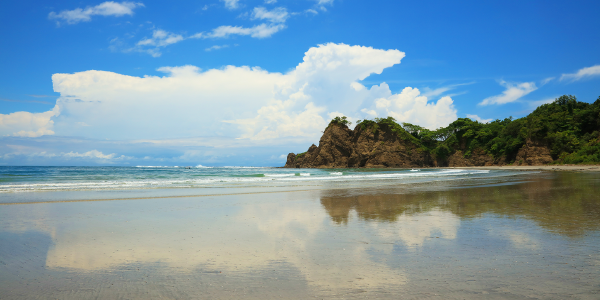 Friendly people, delicious cuisine, year-round sunshine, almost consistent 80-degree temperatures, and excellent accommodations for all budget levels add up to make Costa Rica a top surfing vacation destination. Visited by traveling backpacker surfers starting in the mid-1960s, Costa Rica’s legendary surfing was made famous in the 1994 epic surf movie “Endless Summer II.” Fast forward to 2017 and tourism statistics show that more than 600,000 surfers visited Costa Rica last year. From beginner to advanced, there are endless waves that beg to be ridden along Costa Rica’s beaches. Many of these top surf spots are accessed only by unpaved roads, which have preserved their secret paradise vibe and keep them from being overcrowded. The surf in Costa Rica is pretty consistent all year. The major swell season is from April to October, but morning offshore winds along the Pacific Coast between December and April keep the surf cleaner, according to surf experts. From the Pacific to the Caribbean Coast, here are four top Costa Rica surf spots that you don’t want to miss. Best of all, leave the planning to Horizontes Nature Tours. One of the oldest and most established Costa Rica travel experts, they can arrange everything for your own memorable Costa Rica surf vacation. 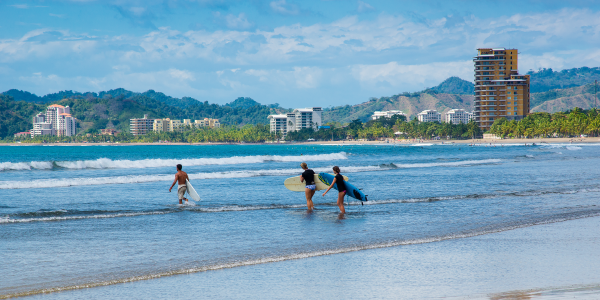 The Central Pacific Coast beaches of Jaco and Hermosa are home to some of the best surfing in Costa Rica. A 2018 survey by the Costa Rican Surf Federation shows them to be the preferred beaches by surfers in the country. And they are chosen spots for national and international surfing competitions. Hermosa Beach is home of the International Quicksilver Championship every August. And this year from Oct. 4 to 7, the World Surf League (WSL) North America will hold the Essential Costa Rica Surf Pro Men’s and Women’s Qualifying Series (QS) 1,500-level event in Jaco. Consistent breaks, big waves, relatively uncrowded beaches, and fun beach towns that are only an hour from San Jose make this area heaven for surfers. Jaco is a long beach break with left- and right-hand waves that work for all levels. When large swells come in, it’s perfect for advanced surfers. Just around a wide point, 10 kilometers south of Jaco, Hermosa Beach is paradise for intermediate and advanced surfers. Here, strong currents and pounding waves that can reach up to 15 feet, with long barrels along the beach break, are strictly for the experienced and brave of heart. Given the environment, it’s no surprise that there are several surf schools in the area that give lessons with qualified instructors. 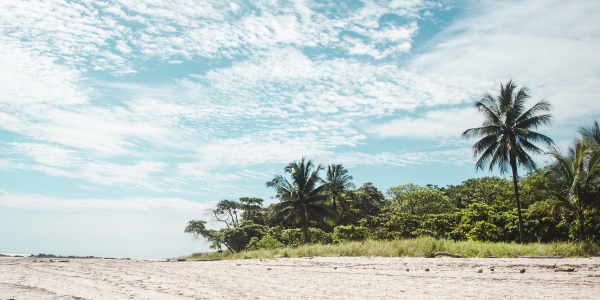 Formerly a quiet fishing village on the southern tip of Costa Rica’s Nicoya Peninsula, Santa Teresa is now a renowned paradise for surfers and yoga lovers. Still, due to its remote location, Santa Teresa keeps its “edge-of-the-world” feel despite its cosmopolitan population. Breathtaking natural beauty, monkey-filled jungle that hugs the coastline, white and dark sand beaches, brilliant blue sea, and picture-perfect sunsets add to the magic. It doesn’t hurt that Santa Teresa is a growing foodie destination, and you can rest your head staying in ultra high-end vacation rentals to four-star resorts to surfer hostels. There are five principal beach areas stretching from south to north – Mal Pais, Playa Carmen, Santa Teresa, Playa Hermosa, and Manzanillo. The variety means there are waves for every type of surfer on both beach and point breaks. Surfing is stellar all year long, although the biggest swells arrive between May and November. In dry season, from December to April, there are consistent offshore winds blowing from the northeast that create ideal waves for surfing. Santa Teresa is one of the competition beaches in the Costa Rica National Surfing Circuit. National and international surfing champion Anthony Fillingim is from here. Guiones Beach (Playa Guiones) at Nosara is recognized internationally as one of the best surfing beaches in the world. Located on the upper Nicoya Peninsula in the Guanacaste province, this area is known as a Blue Zone, where people live the longest, happiest, healthiest lives in the world. Locals report that its consistent surf breaks offer surfable waves more than 300 days a year. A sandy beach break produces waves that are small enough for beginners to learn on close to shore, and larger rides for more experienced surfers farther out, especially with bigger swells. Water temperature averages 83°F, and Guiones is a Blue Flag beach, meaning it has passed ecological purity tests for clean water. The seven-kilometer-long, wide, light brown, sandy beach is bordered by forest-covered hills. There is a community policy of not allowing construction within 200 yards of the beach, so its beauty is preserved. Dedicated to surfing and yoga, the community’s laid-back vibe is palpable. With over a dozen surf schools in town, it’s easy to learn. Not as often thought of as a big Costa Rica surfing destination, Puerto Viejo on the southern Caribbean Coast not only supplies excellent surf, it is home to the most powerful wave in Costa Rica. “Salsa Brava” has been called the “heaviest wave” in the country. Experts from around the world come to test their luck on this thick, Hawaiian-style wave that builds in deep water and breaks over a shallow reef. The fast and steep right-hand wave drops surfers straight into the barrel and is notoriously wild and challenging. While Salsa Brava is for experienced wave riders only, Playa Cocles just to the south offers a friendlier consistent beach break with both lefts and rights. 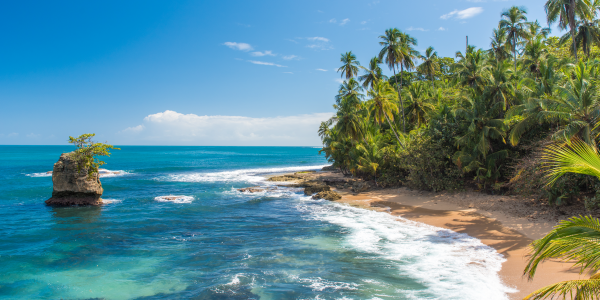 Palm fringed with golden sand, Playa Cocles is also known as one of the prettiest beaches on the Caribbean Coast. With no development right on the beach, you only see the jungle, mountains, and the sea for miles.